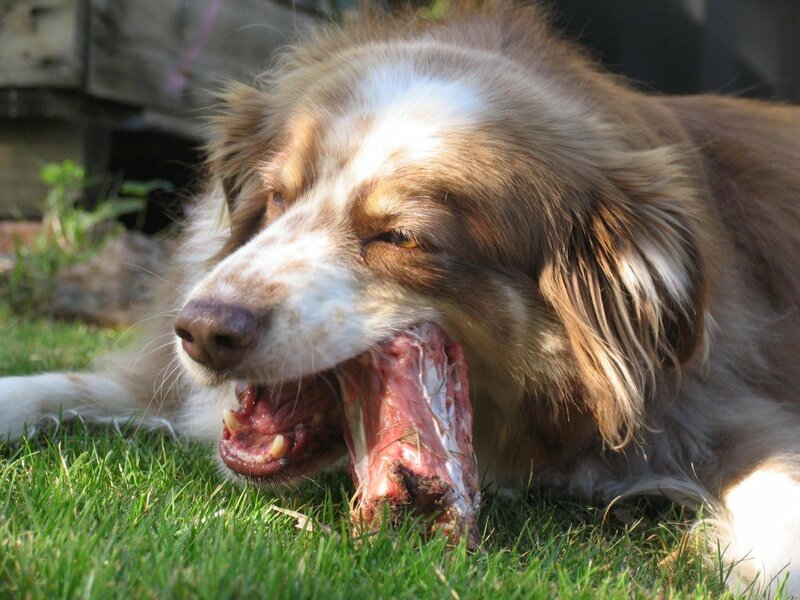 Raw meaty bones are the major component of what your dog needs and wants. In fact, about half of a dog’s diet should comprise of raw meaty bones. Nature Dog encourages you to buy lots of raw meaty bones for your dog. The best bones are the ones that come from young animals such as chicken and lamb. These bones are relatively soft and your dog is able to eat the whole bone. The larger ‘long bones’ or marrow bones are just as beneficial however, your dog cannot digest such a large, harder bone as easily and you often find these lying around the back yard! So any part of a chicken, for example the neck, wing and carcass are best. Lamb necks, turkey necks and whatever else you can find from your butcher are the best!! Bones are ‘Nature’s toothbrush’ to a dog. Send us a message via our website or visit our factory.